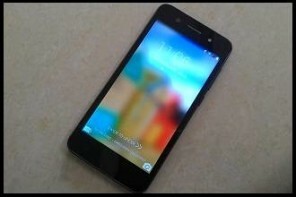 The Karbonn A26 is not listed on the manufacturer’s website (at the moment) but is easily available across stores. So be careful about the support side before you buy this phone. 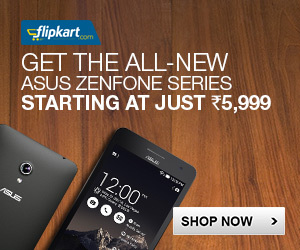 The phone retails at about Rs 6500, sitting squarely in the middle of the 5 to 10 thousand rupee segment. This segment has many options so let’s evaluate how this phone fares compared to others. What does the retail pack come with? The handset and a 2000mAh Li ion battery. Apple style headphones – not in ear and prone to falling off. A two part charger with detachable USB cable. The Karbonn A26 looks ‘inspired’ by the galaxy S series, which is a good thing. It has a large size thanks to the big 5” screen. But Phablets are now common, so that should not take too much time getting used to. 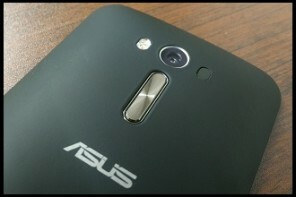 The phone bezel (outer rim) has aluminium finish with a nice taper at the corners. 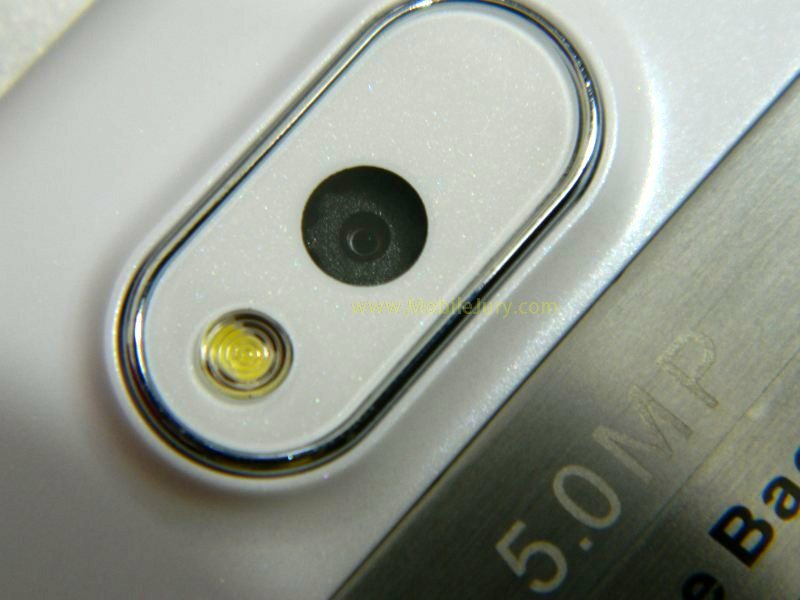 The camera is surrounded by a beautiful and bulged chrome plated metallic housing which will most likely wear out with due course of time. Our photographer was delighted to see such a phone at this price segment (link) and even wanted to replace his Samsung phone with it. The A26 offers pure vanilla UI with few modifications. This means that you won’t find those additional functionalities which you find in smartphones of the other manufacturers (Samsung, HTC etc). But fans of basic android interface will enjoy this phone for sure. You can’t reach the corners of the screen with a single hand and sadly you also can’t configure it for single handed operation. This inherent flaw of 5 inch phones plagues this model too. One major drawback you will come across while using the phone is that the capacitive button for going back doesn’t work as intended. This button will be used quite often and this hiccup can be very irritating. The UI feels completely lag free, all thanks to the Jelly Bean’s project butter which keeps the frame rate constant at 60 fps. So even at this modest price, you will not have to face a slow phone experience. The A26 sports a 5 inches TFT FWVGA (480×854 px) display having a pixel density of 196. You might think that you are lagging behind in the PPI race but you can’t expect more from a phone at this screen size and price point. The display is mediocre on the colours and contrast side of things but it will not disappoint you either. The horizontal viewing angles are pretty okay but the display tends to loose colours and contrast when viewed from an obtuse vertical angle. This proves to be a problem in some scenarios, eg: when you keep the phone below in a desk. The speakers are not loud enough. This means you are likely to miss a few calls if you are in a noisy environment or if the phone is kept in your purse or pockets. The equalizer on the other hand offers a handful of useful pre-sets and lets you listen to your favourite band in whatever pre-set you like. The music player has a very basic vanilla layout but it makes sure that you don’t miss out on mostly used functions like shuffle and repeat. The video player also follows the suit of the music player with a very clean interface and offers some of very required sharing options like Email, Google Drive, Gmail, Bluetooth and Message. The only thing which we didn’t like in the video player is that you can’t move to a certain time on the seek bar just by touching it at that point. A single touch on the seek-bar pauses/plays the video instead and can be very annoying at certain times. The default video player on the A26 also plays almost all types of videos upto 1080p effortlessly except the .flv format. Good job Karbonn. The Gallery is no exception and displays the content as you would see on a pure Google device. The content is shown as it located in the memory. There is no custom skin present on the phone which might make you believe that single handed typing on the virtual keypad in portrait orientation is not possible. But on using the keypad for a while that belief will vanish quickly. The virtual keypad is good to use in both, the portrait and landscape orientations. The auto correct functionality will automatically rectify a few misspelled words too. But personally, I believe that it is no match for paid apps like Swiftkey. Phonebook is pretty much similar to every other android device at this price range, meaning slightly complex but feature rich. 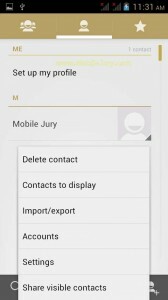 You can create contact at one go & also select which contacts to display out of your phone contacts, Gmail contacts or other messenger contacts. 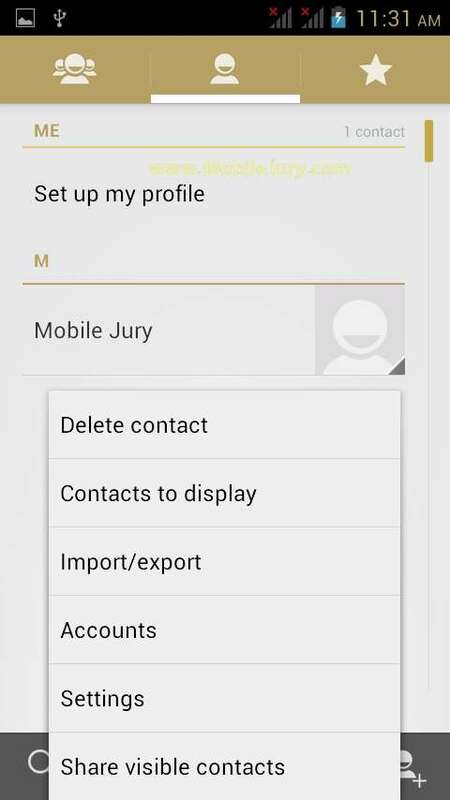 The import/export feature will help you to backup & restore contacts to & from your SD card or SIM card. Frequently used contacts could be marked as favourites & accessed from the extreme right tab. Managing multiple SIM card contacts is not difficult and is laid out nicely. 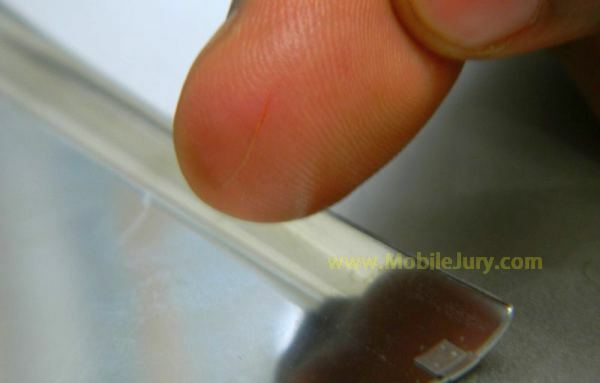 Swipe to call or message feature from those Samsung devices will be missed in this device. Calling interface could be operated single-handedly, which is good given the large size of this phone. We couldn’t test the call quality from the device. The metallic body might hinder signal receptions which can lead to a few dropped calls. The default android browser performs decently. It has features like pinch to zoom. We prefer some other alternatives like Opera Mini or UC Browser which are already present in the phone. a. The 5MP camera clicks pictures with a resolution of 1920×2560 pixels but its photo quality is nowhere near to the current 5MP smartphones from the big guys. The only way by which the A26 was able to impress us was by firing up the camera in about 2 seconds. Naturally, it doesn’t have zero shutter lag but that’s where expensive smartphones come into picture. b. The camera UI is very basic but functional. It also a nifty feature built in called multi-angle shot. It takes two images of an object from two different angles and combines them into a single one and thus gives the perception of being a 3D shot. This worked well on the phone, giving a positive 3D perception. But when viewed on our laptops, the image seemed quite ordinary. c. The panorama shot taken by the A26 were very well stitched and looked almost natural. Its surprisingly good at this price point, given some phones that cost multiples of this don’t work so well. d. This 5MP snapper can capture VGA (640×480 px) videos in 3gp quality but again the quality of the shot video disappoints. This phone is not for the photographers in you. At this price point the Karbonn A26 is a phone that is packed with much more oomph than expected from affordable budget droids. It plays all of the famous games without any lag which is phenomenal. So on hardware front, this phone over delivers and you will not have any complaints from it. The phone loses points on the 3G connectivity as the processor itself is not 3G compatible. The Bluetooth version is not known but it took about 5 mins to transfer 50 MB file via Bluetooth 3.0. Even the entry-level smartphones have GPS available in them; but Karbonn forgot to add the GPS feature to this phone. It has FM radio & micro USB. The lack of GPS and 3G renders this phone useless for navigation. Not really something you can skip on in a smartphone. Karbonn A26 has 2000mAh Li-Ion you might think will be decent enough to power your phone for a day but as a result of shoddy software optimisation, the battery loses its juice very quickly. When we tried Temple Run 2 for five minutes the battery was drained by 2% even when the phone was being charged through a USB port. However the battery also charges up pretty quickly upto 50%. 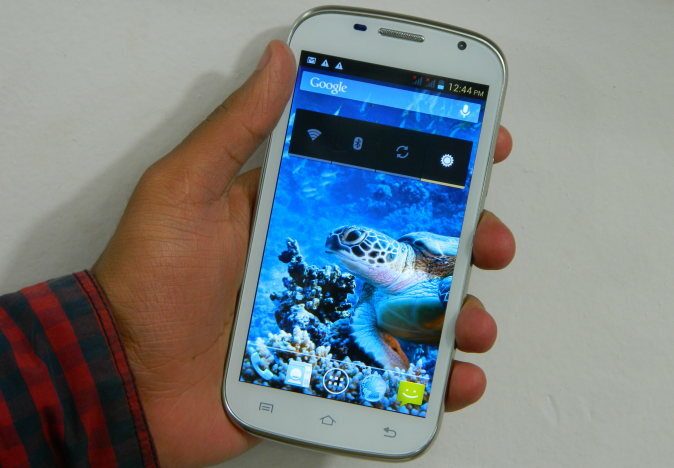 The Karbonn A26 is a budget smartphone but with performance matching mid-range droids. It doesn’t have the latest in hardware and misses out on some of the highly useful connectivity options but that’s okay considering its price tag of close to 7k INR. This smartphone is recommended for casual gamers and movie buffs but not for photography maniacs. If navigation is important for you, skip this phone. Prolonged use (gets heated up very quickly). We’ll get back to you via email asap. i have a qs. 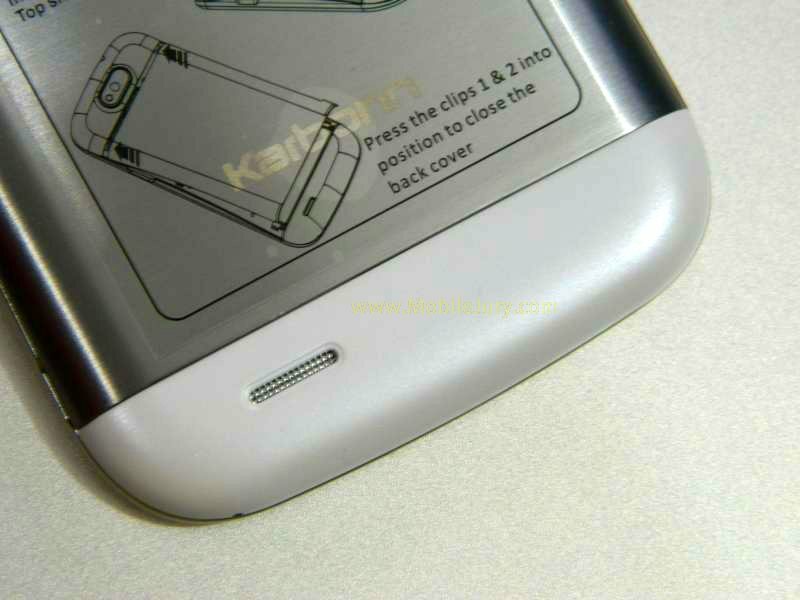 regarding karbonn a26, i hate the steel backcover provided, is their any alternative for that ??? You can use a flip cover or install a silicone cover. is it possible to change the back body with light plastic frame instead of steel back ??? does such body frame exist in mrkt ? bcoz the steel back does not lock properly as the soldering done on hooks doesn’t work ? thnks for opinion regarding this ! We have no idea about that. You might want to check it with local retailers. Did you visit their service centre? You can find the silicone cover on ebay. One is available on ebay for Rs. 250 only. silicon back cover is available on e-bay. hey my scrn glss was broken……iska price kitna h?? Abhishek, please visit your nearest Karbonn service centre and ask them about it. Did you try resetting the phone? It helps most of the times. Thank you for contacting us. However this seems to be a hardware issue. Please visit the nearest Karbonn Service centre and tell them about the problem you’re facing. 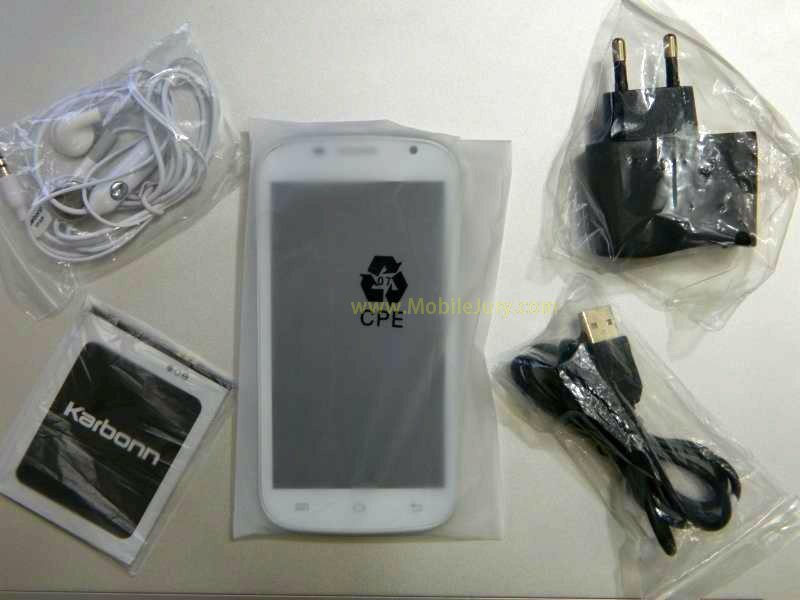 Hello, Karbonn Mobile A7* purchased in last month but due to scratches on the glass of camera it can not be used. I want to replace the glass. 3-4 times visited the service centre, the glass is not available, is the answer I am getting. Please tell from where I can get the glass of camera. Thats the problem with many local brands and unfortunately there is nothing that I and you can do about it. All you can do is try contacting Karbonn customer service via helpline or email and tell about your problem. 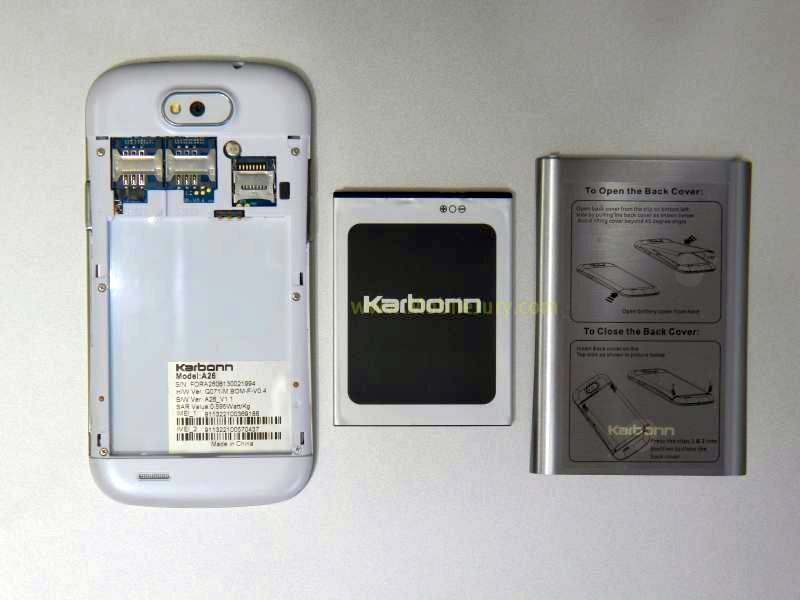 am purchase karbonn A26 but problem is idea & vodafone sim card not work other sim card are working both slot. This is very weird. Do those SIMs work in other phones? Sir, I have ordered karbonn A10 mobile but when i was go through the reviews they mentioned that it has serious issues on battery and internal memory pls suggest me if any problem and will it hang due to low memory?? For phone buying advice, please send us a query using our Ask-Us page. 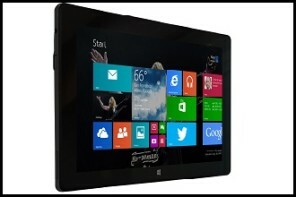 karbonn A-26 ki display and touch new dalva hi hai but ab Mother bourd me promblem hai so pls. confirm you that what can i do?? kya wo bhi chenj karwana padega…?? mere phone me network he nhi aata hai ..wat to do ..ppllzz help me ??! !